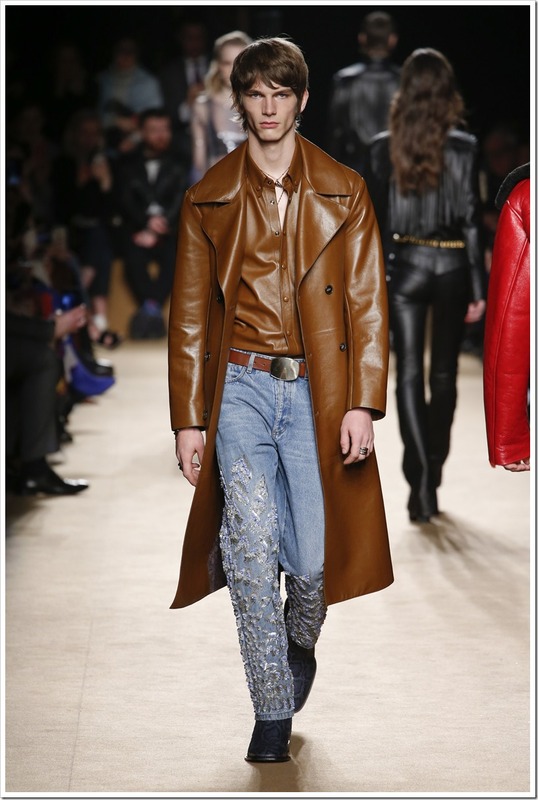 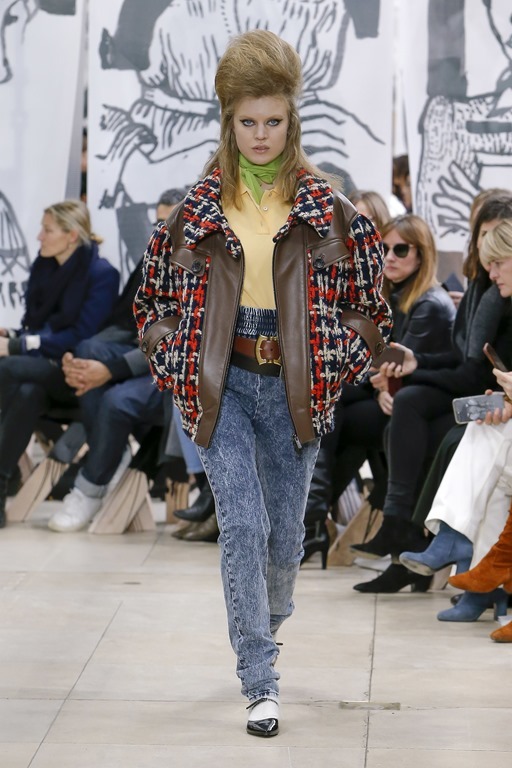 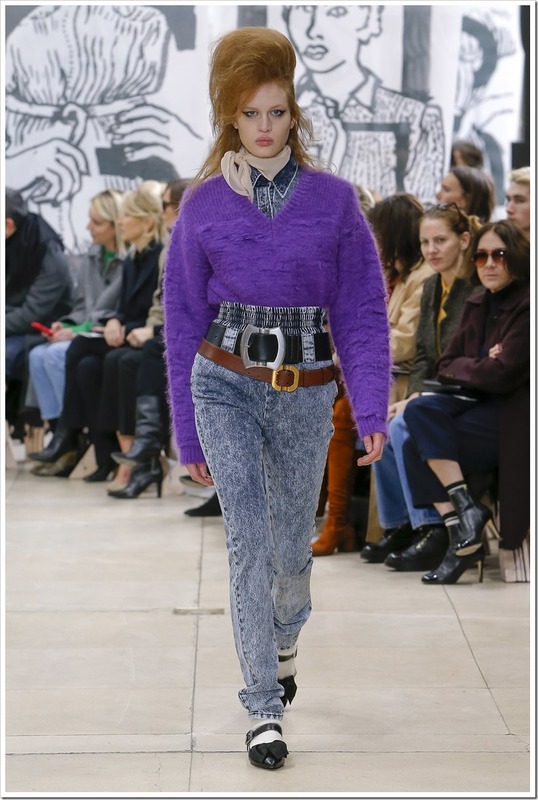 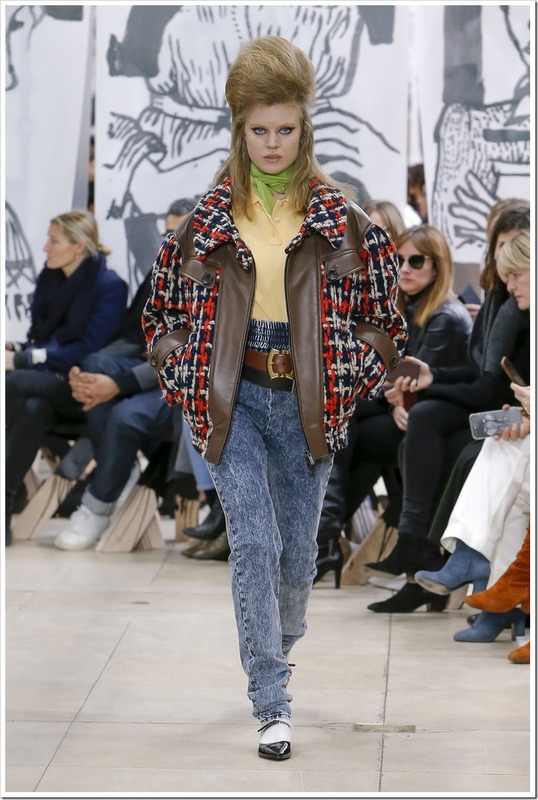 Continuing our last article on Fall 2018 Ready to Wear Part I , we bring here the second part of the article. 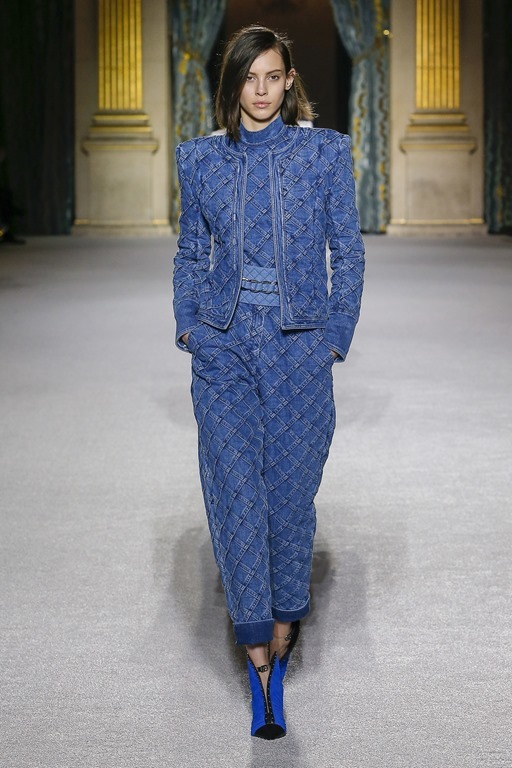 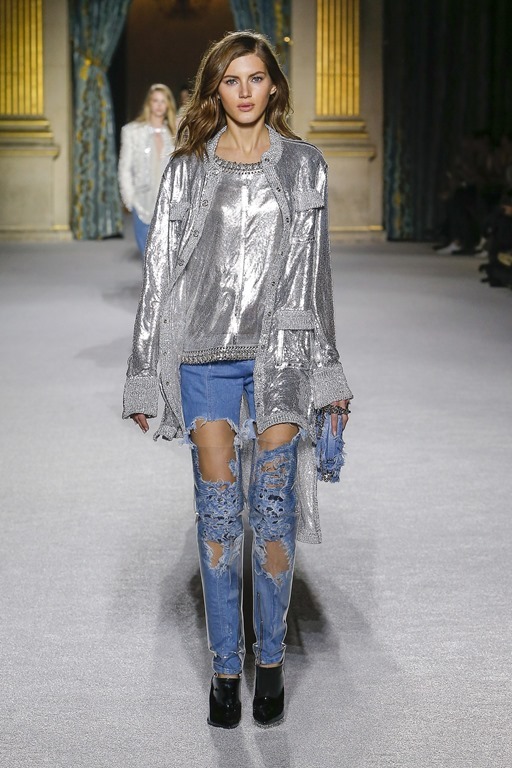 With a futuristic theme , Balmain played with distressing on jeans and tried to improve its aesthetics . Designed tatters were held together using clear plastic coverings. 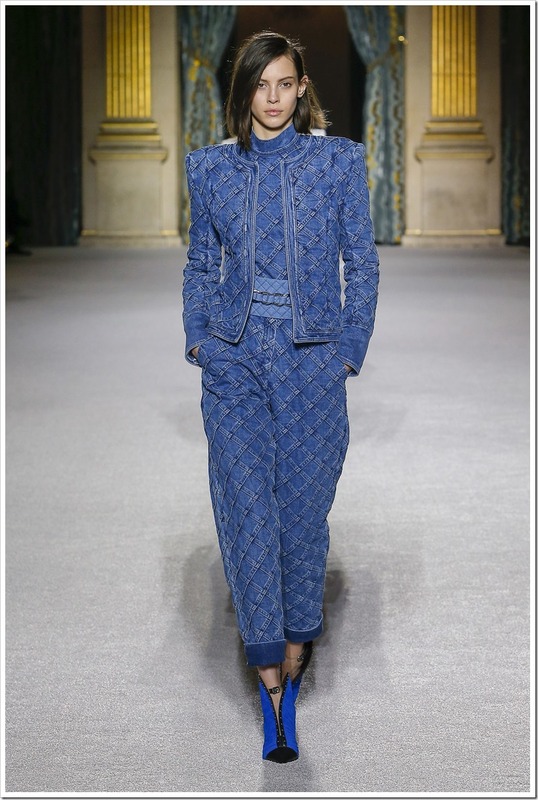 Hems played an important role in some of the pieces as they became part of distresses or for creating structural patterns on the dress. Glamour, Glitter and exoticism define the new collection by Paul Surridge for Roberto Cavalli . 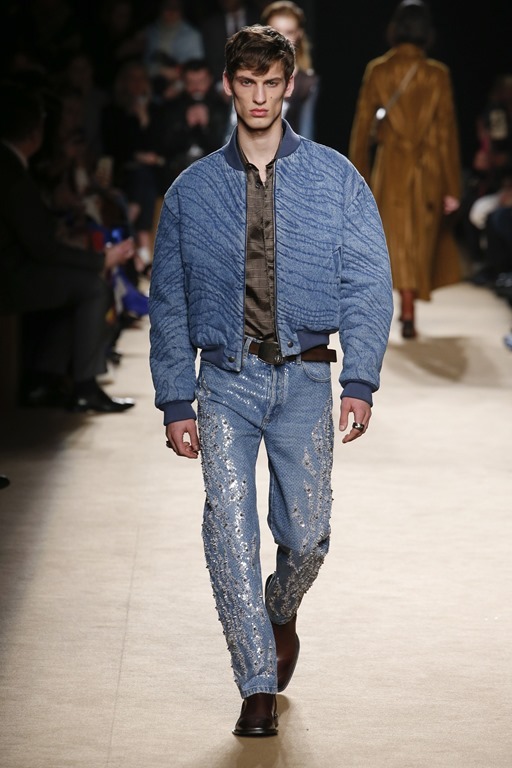 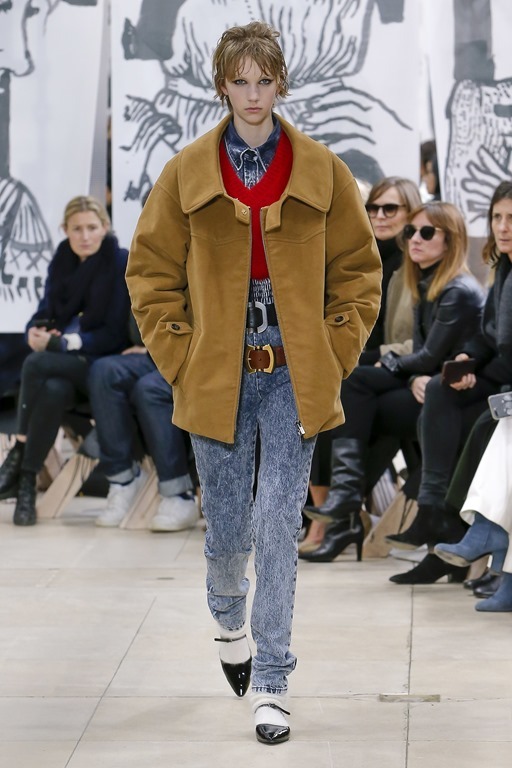 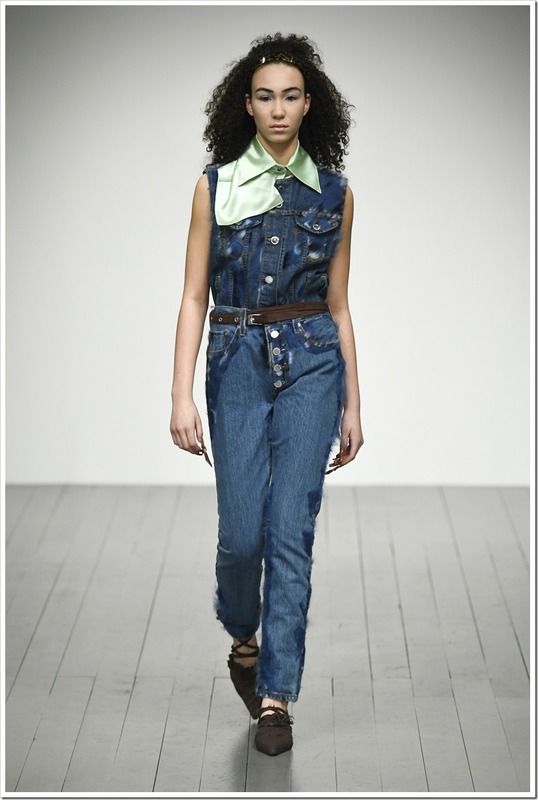 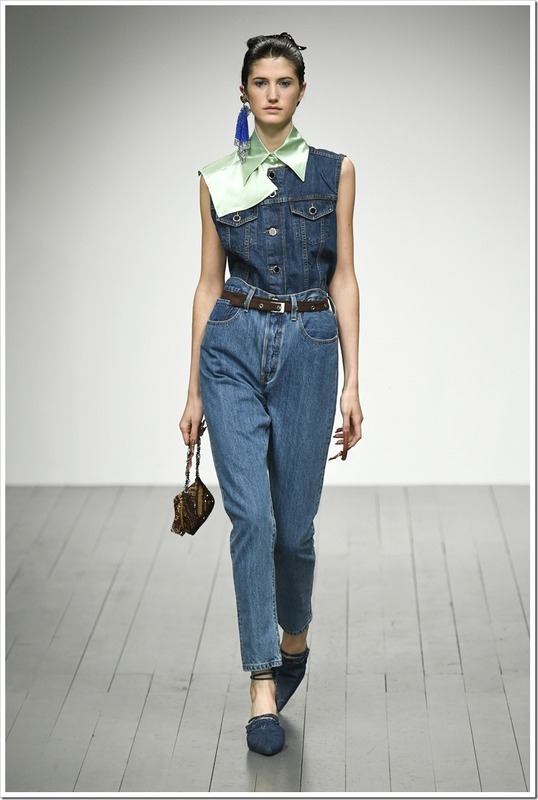 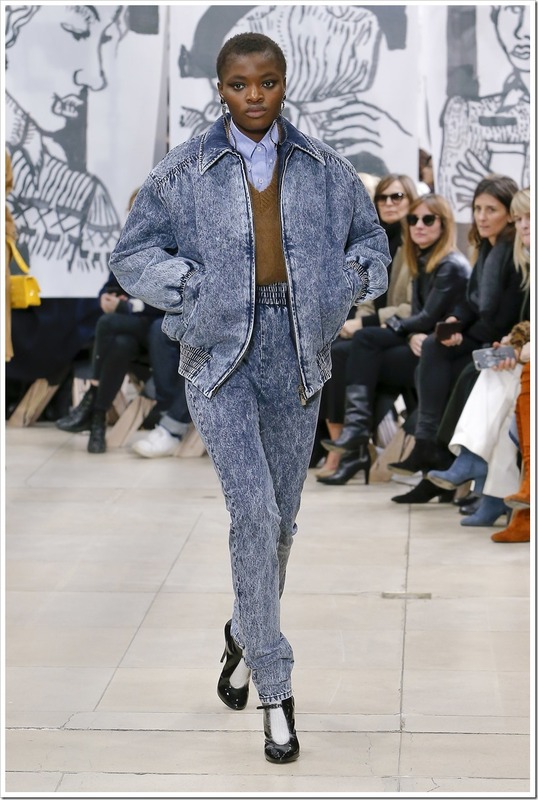 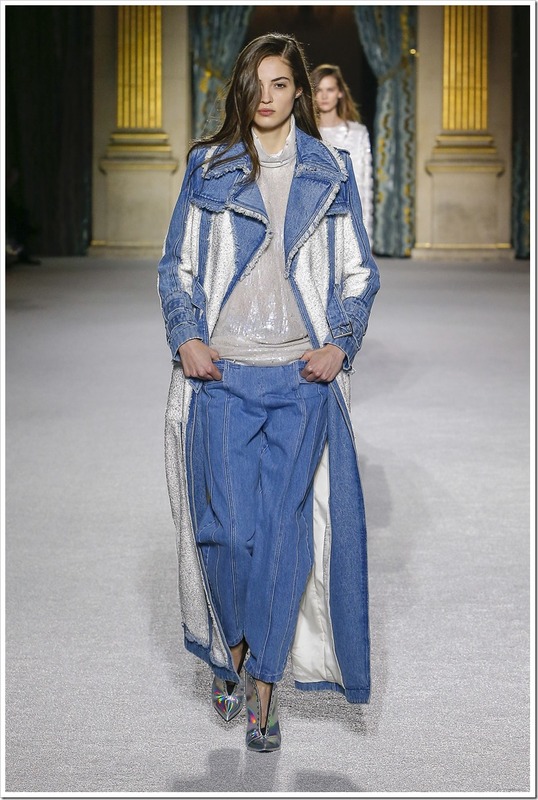 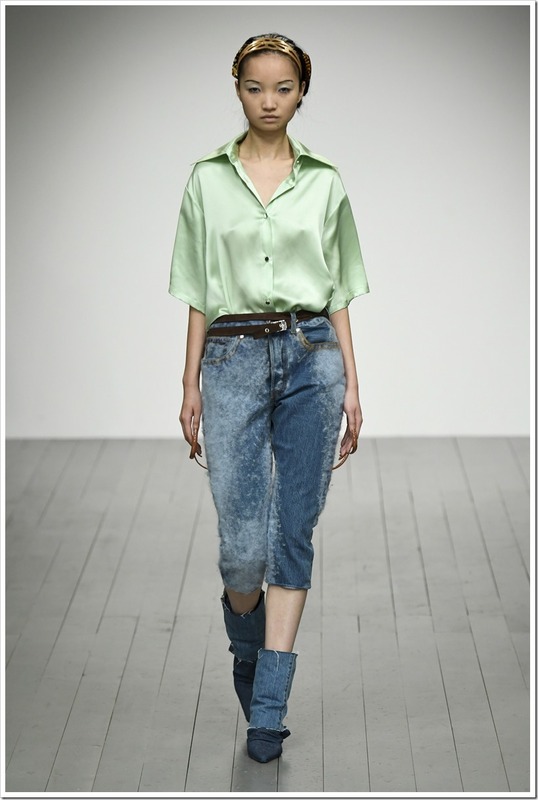 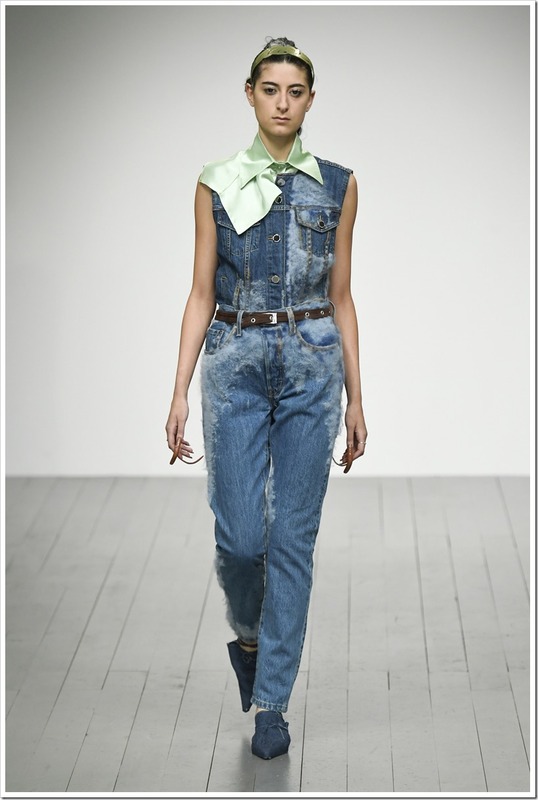 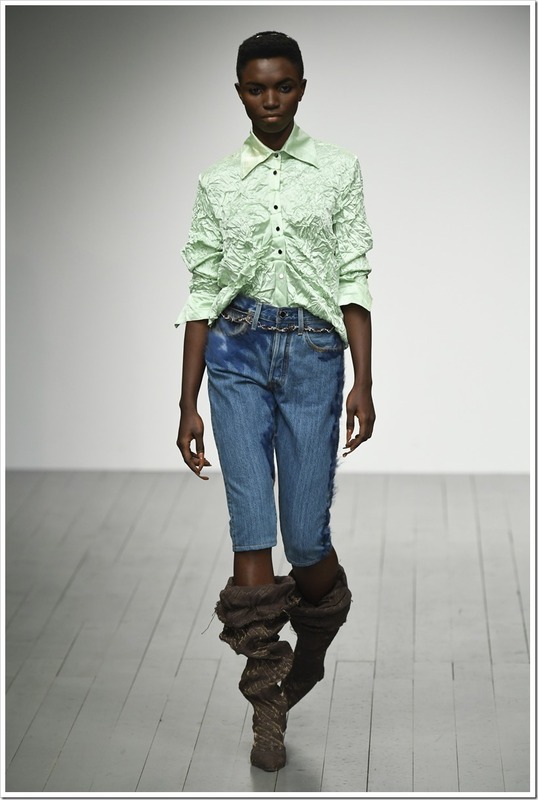 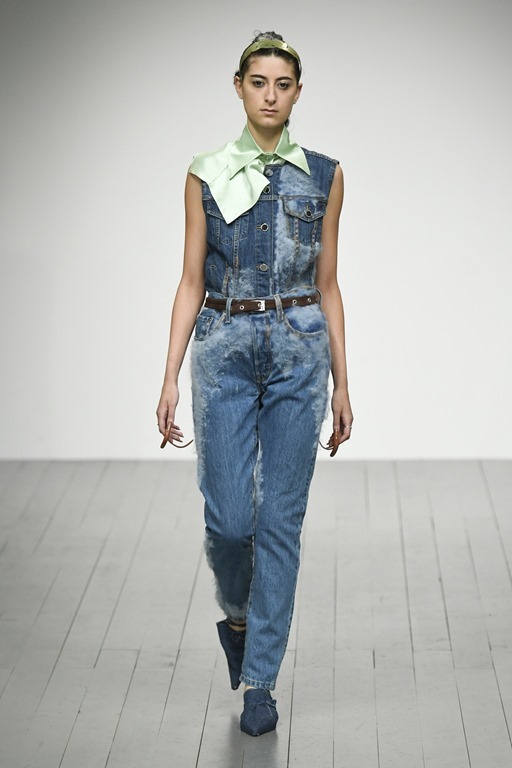 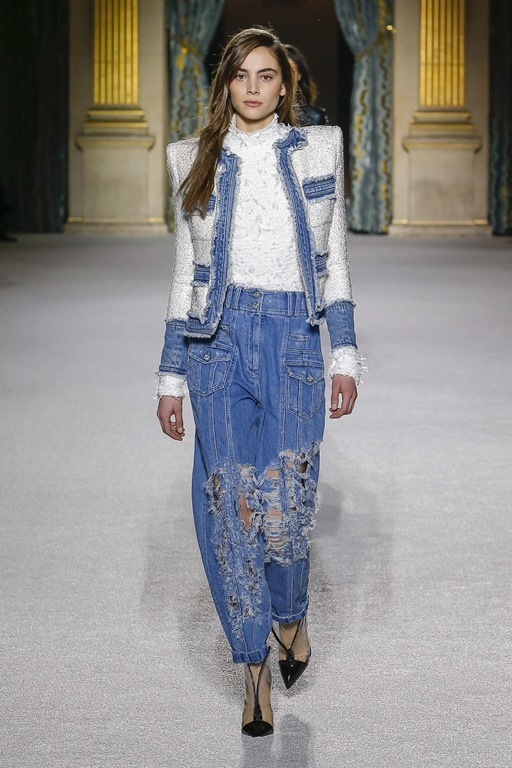 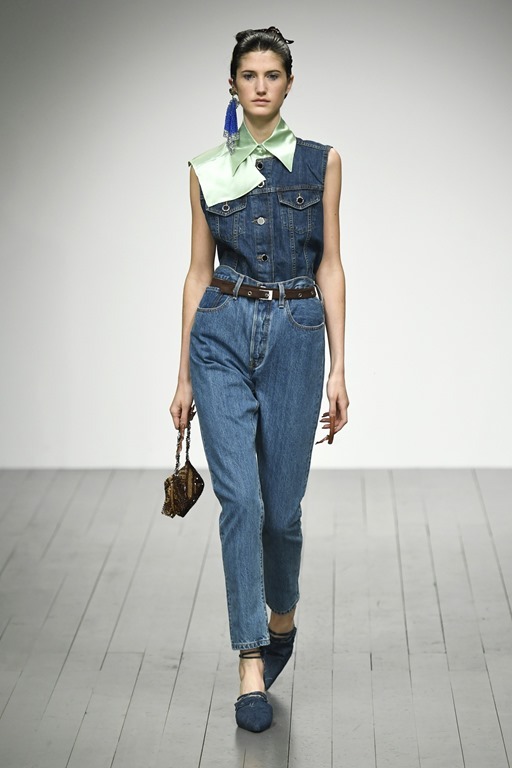 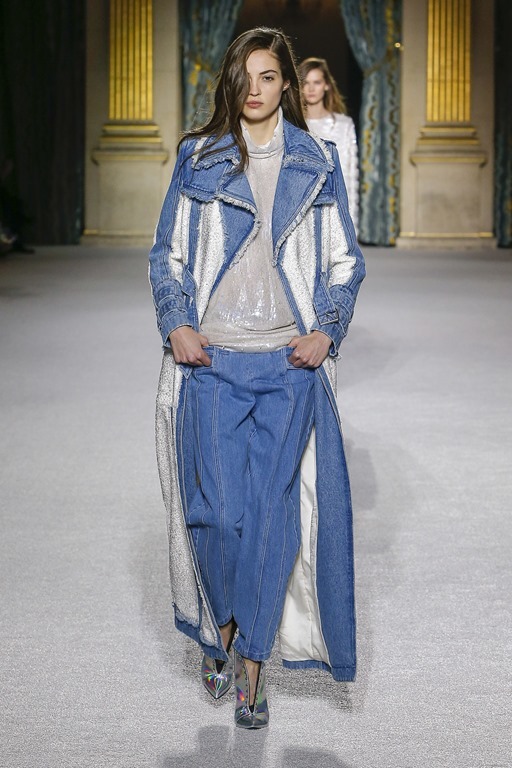 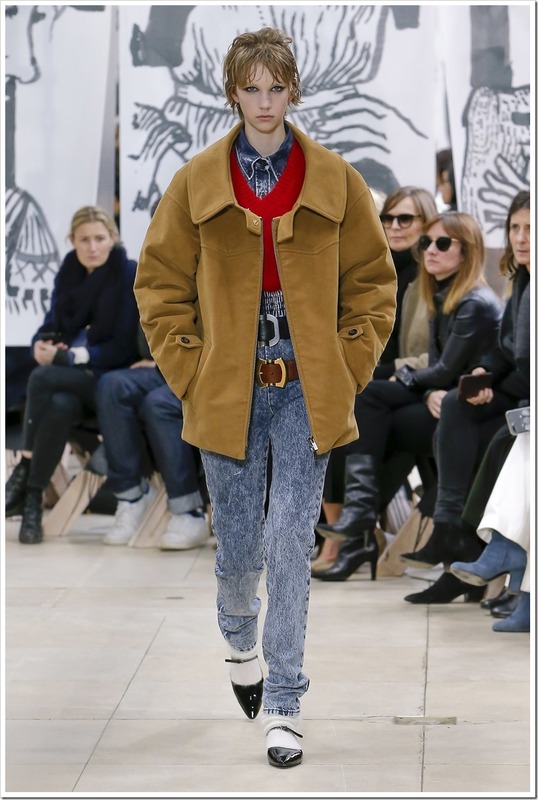 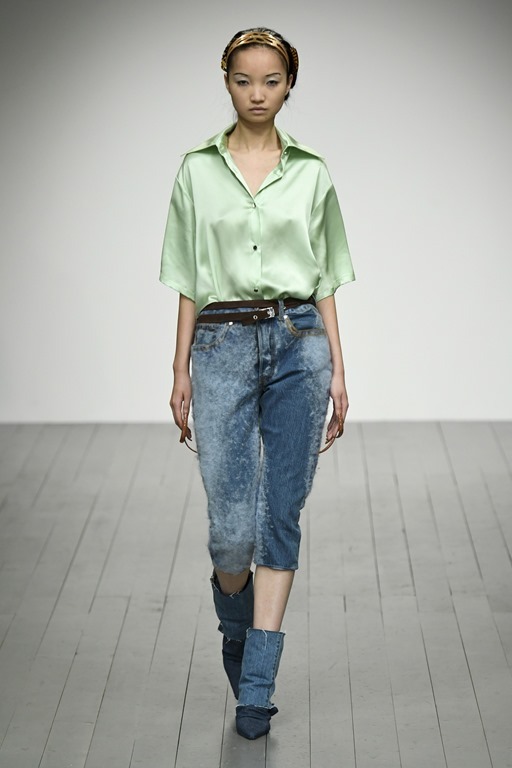 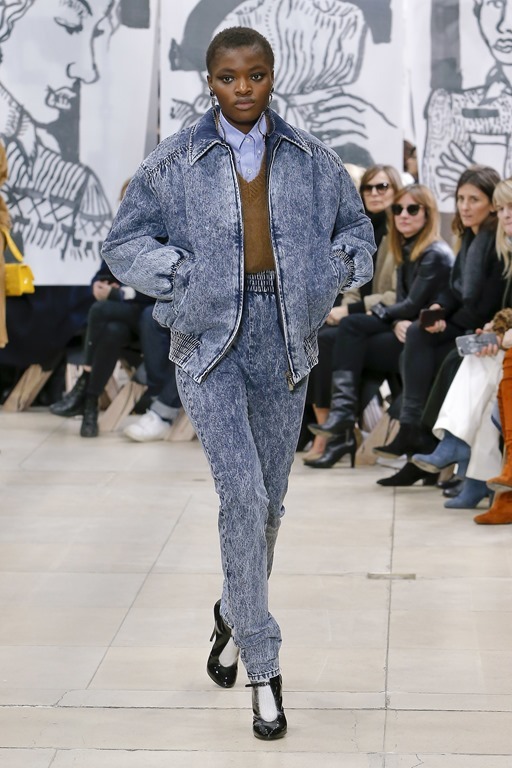 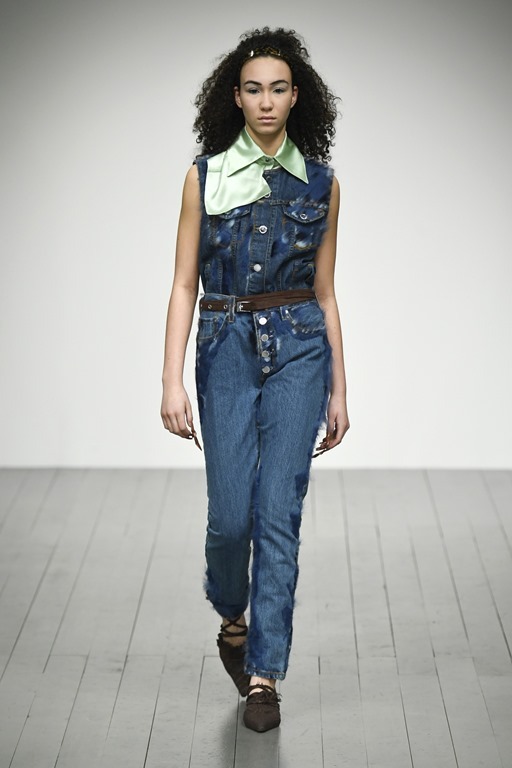 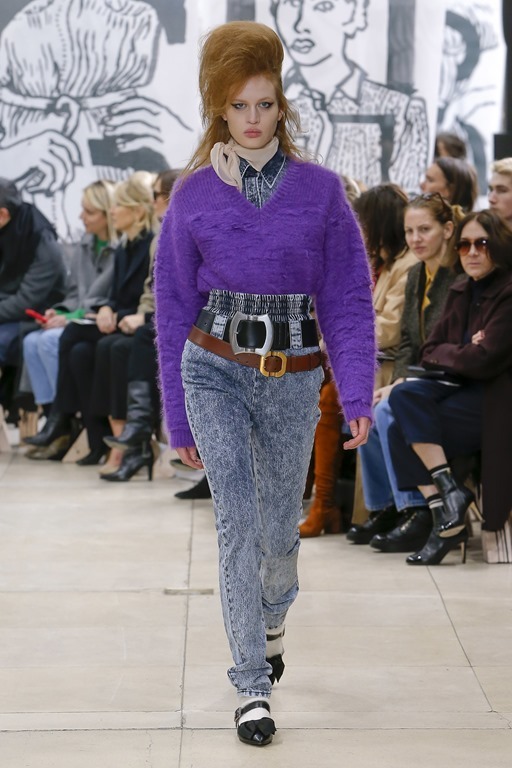 Faustine Steinmetz has always been the designer who gave her own interpretation of denim in each collection. 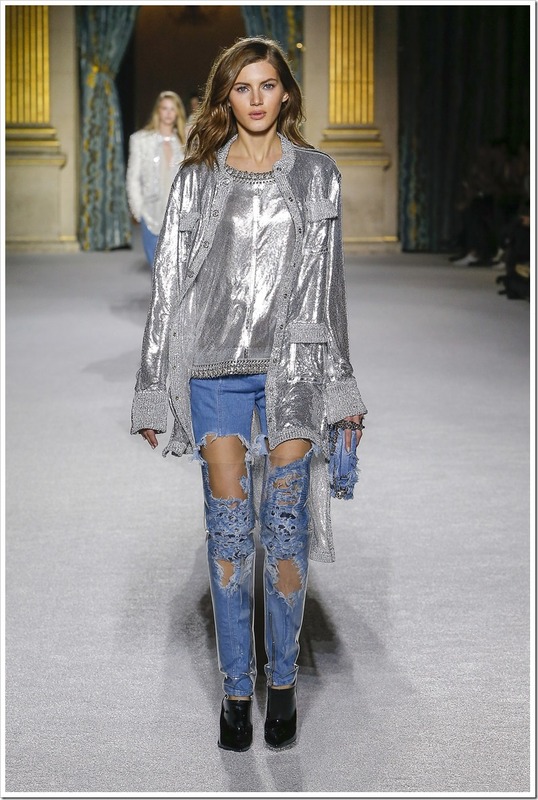 Most of the time, seeming to be playing with elements, her pieces had that ethereal flow which made them come out as kind of super normal . 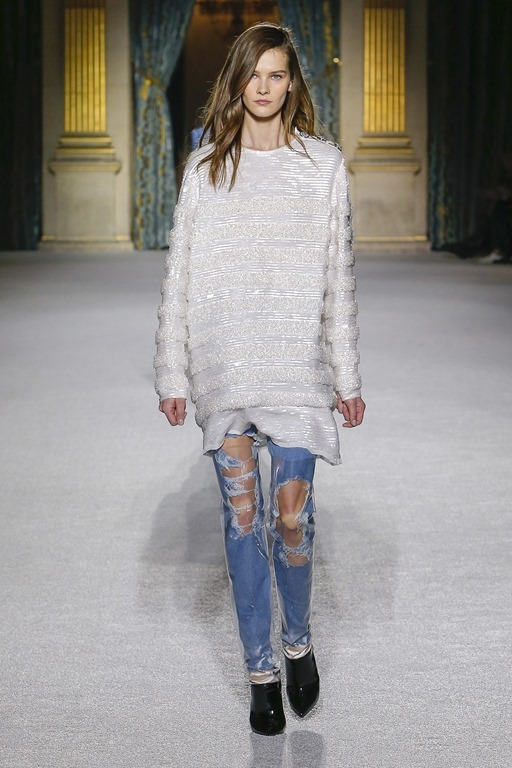 However, current collection is more subdued , though she has used hand felting and knitting techniques to give a super imposed additive look rather than desconstructed distressed look. 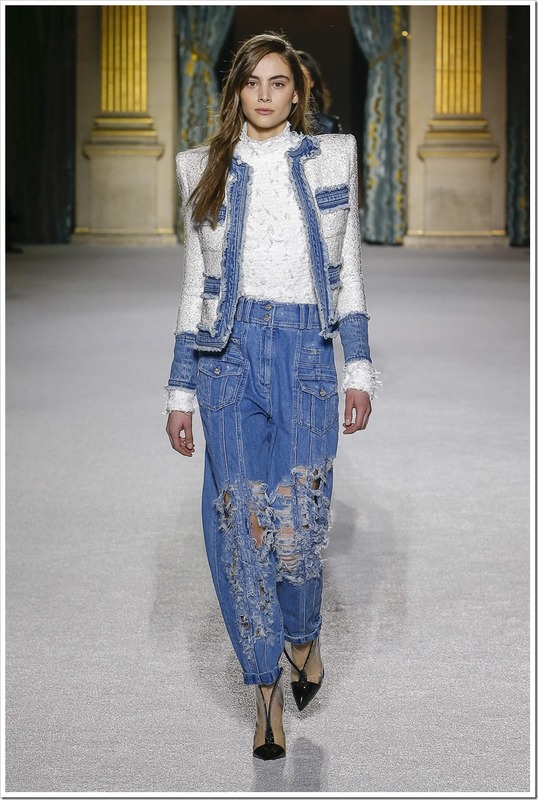 The ethereal touch still remains in some of the pieces as the felt looks like snow sticking on to them.